Dr. Beal began her pre-chiropractic education at the University of Toronto where she studied the basic sciences courses. These included inorganic chemistry, organic chemistry, calculus, biology, along with physiology and anatomy. After completing a Bachelor of Life Sciences (4 year) degree, she entered the Masters programme at the University of Toronto, Department of Zoology. Her research involved the cytochemical study of the pancreas cells in a fish model. After completing her Master of Science degree, Dr. Beal was accepted to the New York Chiropractic College in Seneca Falls, New York. During her four years at NYCC, her courses included biochemistry, a major emphasis on anatomy and human physiology, X-Ray, diagnosis, chiropractic adjusting techniques and patient care at the Cheektowaga Health Centre. After graduating in 1999, Dr. Beal returned to Ajax to establish her practice. Karen is married to John, and they have two children, Ryan and Hilary. They live in north Ajax. Ontario. Thank you for visiting our site. I hope it can be a source of hope and healing. You will find great information about the chiropractic lifestyle throughout our site. If you have any questions, please call me, or you can click on “Email the doctor” button at the bottom of every page. Call our Ajax chiropractic office now and schedule an appointment, you’ll be happy you did! Dr. Messmer shares – “Shortly after I was born, my mother noticed that I was colicky and my sleep habits were a bit off. She took me to her chiropractor when I was just a few days old for my first adjustment. Within a couple treatments, my colic was no more, and my sleeping habits had improved drastically. Since then, I have continued on with regular chiropractic care, and rely on it to keep me well”. Dr. Natalie Messmer began her pre-chiropractic education at Brock University where she studied Kinesiology, the study of human movement. Her course work included: Anatomy, Human Physiology, Exercise Physiology, Biomechanics, Sports Injuries and Tapping, Motor Behaviour, Sports Psychology, and Training Principles. After completing a Bachelor of Honours of Kinesiology, she was accepted to the New York Chiropractic College in Seneca Falls, New York. During her four years at NYCC, her courses included a major emphasis on Anatomy and Neurology, Patient Assessment, Biochemistry & Nutrition, X-Ray and Advanced Imaging techniques, Diagnosis, as well as a major emphasis on Chiropractic Adjusting techniques and patient care at the Levittown Health Centre in Long Island, NY. After graduating in early 2011, Dr. Messmer returned to Ajax to establish her new practice within Dr. Beal’s existing practice. Dr. Messmer loves being back in home in Canada, and living close by to her family and friends in South Ajax. Dr. Messmer sees her chiropractor once a week to keep her nervous system in check and free of nerve stress. 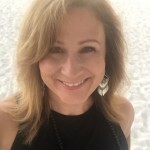 Some other things that she has incorporated into her healthy lifestyle include daily walks or hikes with her dog, yoga, playing squash, resistance-type training, and eating a well balanced wholesome diet. “I believe in a holistic approach to natural health care because I have experienced first-hand the wonderful effects of regular Chiropractic care and eating a well balance diet. Chiropractic should play a fundamental role in everyone’s life in order to optimize health and the overall function of the body. The body has a natural ability to heal itself and Chiropractic enhances this ability by removing stresses from spine and allowing the nervous system to function to its full potential. I feel amazing today and rarely ever get sick thanks to regular chiropractic adjustments”. Thank you for visiting our site. If you have any questions, please feel free to call me, or you can click on “Email the doctor” button at the bottom of every page. Call our Ajax chiropractic office now and schedule an appointment, and begin your path towards wellness now. 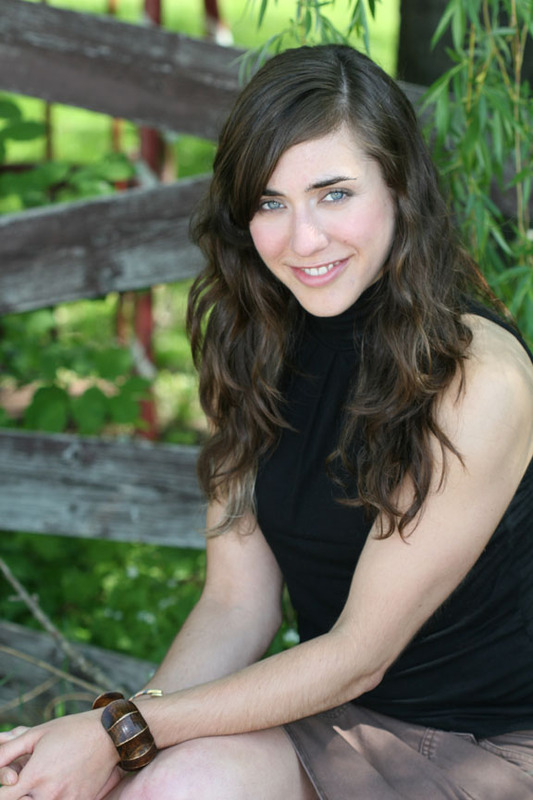 Dr. Devyn Koczan is an evidenced-based practitioner who offers a variety of treatment options including chiropractic adjustments/manipulations, soft tissue therapy, acupuncture postural advice, rehabilitation and patient eduction tailored to each individual patient needs. Therapy includes a holistic approach encompassing the mind, body and soul in order to reach optimal health and wellness. In addition to treating the general public, Devyn has an interest in pre/post-natal and female care. Certifications include McMaster Contemporary Medical Acupuncture  Active Release Technique [ART; upper limb], Interprofessional Low Back Pain Module [St Michael’s Hospital], First Aid Level C + AED. Devyn is passionate about learning and therefore is continuing to take courses to enhance her knowledge and skills. Volunteer experience includes Big Brothers Big Sisters Go Girls Mentor Program [2011-2012], Spinal Cord Injury Rehabilitation Lab [2010-2011], and Cardiac Rehabilitation Program [2010-2011]. ​Devyn has a passion for community engagement and networking. Community involvement includes CIBC Pickering workplace ergonomics presentation  and Pack it Light Pathfinders Presentation . She is currently collaborating with Lululemon Scarborough Town Centre to bring quarterly wellness trends and intension workshops quarterly to patients in the community [see Lululemon Scarborough Facebook page for more information]. Dr. Ana Candia is a student of and daughter to Mother Earth. She has always felt a fascination with Nature’s perfection – the artistry residing so profoundly in the science. 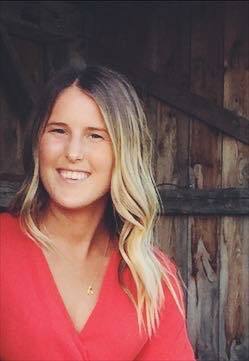 She began her formal education in this vein at the University of Guelph with an Honours Undergraduate degree in Human Kinetics, completed a year of University coursework in Psychology, a Master of Arts degree in 2008 and, aware of her desire to become a lifelong educator, continued on to earn a Bachelor of Education in 2010. Dr. Ana came to the realization that she had to become an ND on a long and strenuous hike through the Himalayas in Nepal. She graduated from the Canadian College of Naturopathic Medicine in 2017 and is thrilled to be joining the team at Family Chiropractic and Homeopathic Centre as their sole Naturopathic Doctor. She has a special interest in cognitive and mental health, as well as in pre and post natal care. Working with youth has been a lifelong focus. Dr. Ana is a certified Yoga Instructor (RYT 200) and a licensed Reiki Practitioner (Levels I and II). She is also the sole creator and founder of Holler and Howl natural product line. 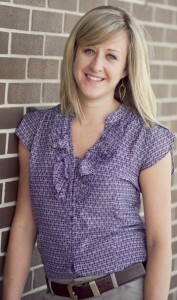 Meredith, our chiropractic assistant, will warmly welcome you at Family Chiropractic and Homeopathic Centre. Call our Ajax chiropractic office now and schedule an appointment!